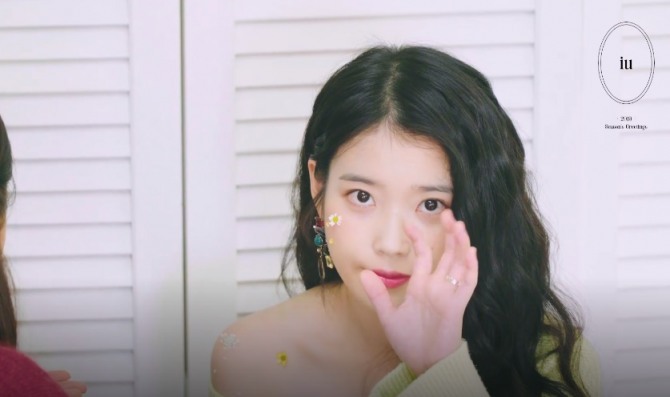 Christmas appears to have come early for IU fans, as the singer released a preview clip of her calendar box set for next year Thursday. In the clip that lasts just over a minute, the singer showed off her flawless skin as she posed for the camera. Fans caught a rare glimpse of the singer acting casually in between photo shoots. 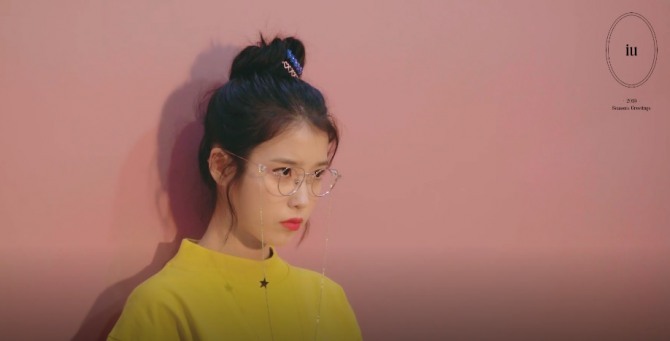 In one scene, IU wore a pair of oversized glasses with bright red lipstick while acting innocent as she fidgeted about with a flower. 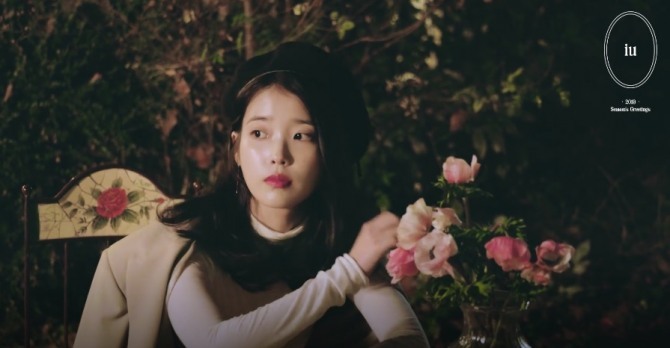 In a dramatic change of scene, the singer appeared on an outdoor set fully embracing the cold winter weather in an oversized tan coat, which she decided to couple with a black hat, accentuating her petite figure. The clip garnered over 200,000 hearts within just an hour. Watch the video at https://www.vlive.tv/video/102759.